My recent deviation, "Fear Not" was awarded a DD. Very happy! Listening to: Jim Hendrix "Are You Experienced?" As featured on the Photography Talk website, www.photographytalk.com. 12. Know what kind of light is best for all situations. 13. The 35mm focal length is the ideal one. It’s the closest to the human perspective. 14. Use high ISO when necessary. Especially if your camera is less than four years old. 15. 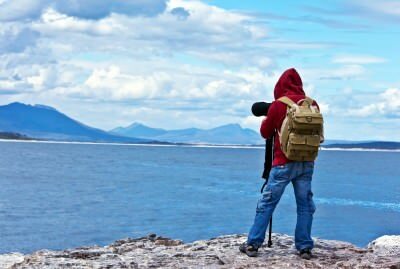 Don’t carry a tripod with you everywhere you go. Sometimes you can just improvise a steady shot on location. 16. Avoid overexposure. Underexposure is still savable. 17. Stop shooting photos of the homeless to make your work look artsy. 18. The best photo opportunities come in the least expected situations. 19. Include humans in your photos. It’s a sure bet to make them more interesting. 20. Photoshop was made for improving images, not turning bad ones into good ones. 21. Everyone thinks they’re a photographer nowadays. Be prepared for it. 22. Flying half way across the world for a good shot is not necessary. Some of the best stuff is just around the corner. 23. If you have a grip on your camera, don’t shoot portraits with it pointing downwards. 24. I know you think your camera is a nice toy. It’s not, it’s a tool. 25. Study painting. In terms of composition, they are very much alike. 26. When you chose photography as a profession, you’re not picking out a job, you’re choosing a lifestyle. 27. Stop finding excuses to go out shooting. 28. Try to be original as much as possible. 29. Photography is about storytelling. 30. Colored cameras draw way too much attention. 31. The more gear you carry around with you, the less you will enjoy actual photography. 32. A good self-portrait is often harder to take than a normal one. 33. People who laugh when photographed always reveal a part of their true character. 34. Blend with the environment when out shooting. You don’t want to draw unwanted attention. 35. Landscape photography has been done too much. 36. Enjoy the process. There is no point in pursuing photography if you stop enjoying it. 37. Never delete anything. You never know when a photo you might have first overlooked can become priceless. 38. Show some respect whenever photographing someone or something new. 39. In street photography, the real shots are taking with wide angle lenses, not telephoto. 41. For the love of all that is good, learn how to read a histogram. 42. A noisy or blurred photo is better than no photo at all. 43. Rain is your friend. Don’t be afraid to go out and catch some cool drops. Just make sure you protect your gear. 44. When faced with a unique moment, don’t forget to enjoy it and don’t lose yourself in the attempt to capture it. 45. Take care of your basic needs before shooting. Don’t do it hungry or thirsty. 46. Photography is one of the best ways to find yourself. 47. Reading isn't just for college students, read photography related books. 48. Sharing is the way. Don’t keep your secrets to yourself, because in the end you will be doing the world and yourself a favor. 49. Shoot constantly. Camera, iPhone, doesn’t matter. 50. Learn how to capture the decisive moment. A high frame rate usually helps. 51. An expensive camera/lens does not equal a good photographer. 53. 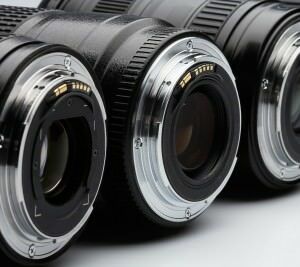 Prime lenses will help you learn better than zooms. 54. Photo editing is equally important and hard as classic photography. 55. The rule of thirds is crucial and it works most of the times. 56. Macro photography is harder than it seems and it certainly isn’t for everybody. 57. A good UV filter can replace a lens cap. 58. Stop spending too much time on photography forums. Pick up your camera and go shooting. 59. There is beauty in all things if you really try to see it. 60. Film is not better than digital. 62. 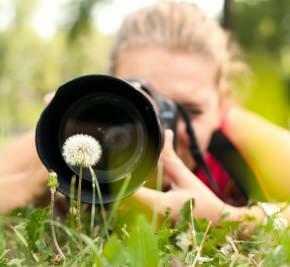 No lens or camera will make you a better photographer. 63. The “exclusive” glass won’t make your photos better. 64. Look out for what your favorite photographers are doing, but don’t spend too much time on it. 65. Parties and DSLRs don’t mix well together. 66. Yes, girls dig photographers. For now. 67. Converting your photos to black and white does not automatically make them artistic. 68. Don’t tell people you use Photoshop because they will think less of you. Use the term “digital darkroom” instead. 69. Don’t take photos of everything you see. Learn how to be selective. 70. Backup all your images. 71. Hand straps are better than neck straps. 72. Get closer when shooting something. 73. Be a part of the scene you’re shooting. 74. Get down on your knees or belly. A different perspective will make a better photo almost every time. 75. Focus less on technique and more on composition. 76. Hide the logo of your camera with black tape. It draws less attention. 77. Always underexpose a bit when shooting in broad daylight. 78. The more shots you take, the better you will get. 79. Shoot the same thing at different exposure values. 80. Show only your best work. Always, no exceptions. 81. Point and shoot cameras can be very handy sometimes. 82. Join at least one online photography forum. 83. Don’t be afraid to critique the work of other photographers. Just make sure they can learn something from it. 84. Think twice before you press the shutter release. 85. Unless it’s photojournalism, a good photograph needs no additional explanation with words. 86. Alcohol and photography are not a good combination. 88. Film grain = beauty. 89. Get a messenger bag instead of a classic camera bag. 91. Photography is based on light. It’s the most important element. 92. Find your style, your “voice” and stick with it. 93. Photo processing greatly benefits from the presence of a second monitor. 95. Have a camera with you at all times. Or at least make a habit of using your phone at its best. 96. Never let photography keep you from enjoying life. 97. Your camera is not jewelry. Use it until it cracks open. 98. Shoot straight. Leave tilted photos to amateurs. 99. Have confidence. If you do, so will your models. 100. Always treat assistants with respect. 101. Get rid of your kit lens. I wanted a light tent but for macro and product shots but wasn't willing to spend $100 on it, so I decided to build one. 1) Box  Any size, square or rectangular. You can find boxes in the back of strip malls, grocery stores, appliance stores, Walmart, etc. The thicker the better! 2) Fabric - Your choice. In my box I used white muslin fabric that is found at your local arts and craft store. Buy enough to cover the entire box. ($4.00 or $1.99 a yard). 4) Glue Stick - To stick the lining in the box ($1.00). 5) White Bristol Board - This will line the inside of the box and will also serve as your background. Bristol board is a heavyweight paper that is used in drawing/art. The name came from where it was originated, Bristol England. If you wanted a different background you can also pick up different colors ($3.00). 6) Light - I suggest that you pick up some "daylight" bulbs at Home Depot. Using regular light bulbs will cast a yellow light and should be avoided. I purchased "n:vision" 90 watt equivalent compact florescent bulbs ($7.00). Basically any "Full Spectrum" light bulbs will do. Light Fixture - If you have a one of those desk work lamps, it will work fine. If you don't, I suggest getting a "clamp on" light. They are about $11 at Walmart. 7) Miscellaneous Tools - Ruler or any straight edge, scissors, pencil or marker, and box cutters. 1) Using the ruler, measure and mark, on all 4 sides, 2″ in from the side of the box marking multiple points with your marker. When you are done you will see your border. Connect the points using your ruler. You should have a nice looking square/rectangle in the middle of the box with a 2″ border around it. Leave the top and bottom of the box alone as you will not need to mark it. 2) Cut out the boxes you've drawn on each side. When you're done, cut off the top of the box or remove the flaps on the top of the box. Leave the bottom in tact. 3) Take your Bristol board and make lines with your pencil or marker for every two inches 16 times. Then proceed to cut out 16 strips with your scissors. 4) Glue the paper strips into the box (4 on each side to cover the box so it's white inside). Make sure the side with marker goes against the cardboard so it cannot be seen. 5) Take another piece of Bristol board and cut is so the width is the same as the inside of the box and the length is much longer then the box. 6) Place the long piece of Bristol board into the box to where the piece curves to the bottom. Avoid creasing as it will show up in your photo. Cut off excess paper. 7) Cut your fabric to where it will cover the holes. Then cut a big piece to where it will cover the top of the box. 8) Tape the fabric to cover the holes in the box except the one that is facing your background. Then tape the top piece on. Now all you have to do is light the top of the box and start snapping away! There are many variations you can do to get the photo you want. If you're having a shadow problem I suggest lighting the other sides of the box (which will require more lights). If you're getting vignetting I suggest a lens hood or moving the lens more into the box. Photoshop could be a handy tool also! I sometimes adjust the levels in Photoshop so it's brighter. I will soon be creating steampunk rings and necklaces and offering them for sale. Stay tuned!